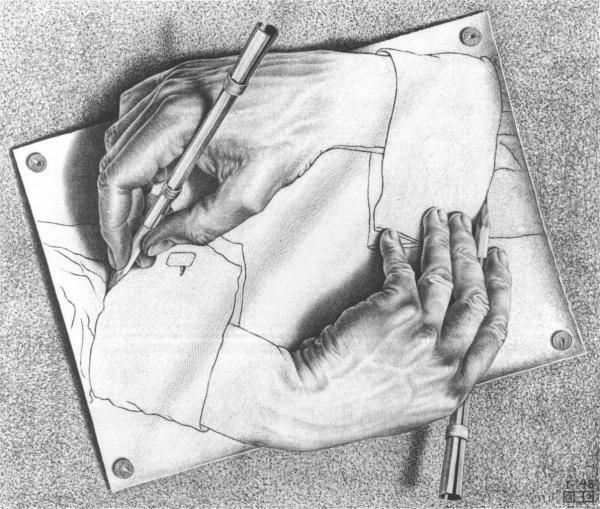 Drawing hands The graphic artwork by by Maurits Cornelis Escher. M. C. Escher, was a Dutch graphic artist. He is known for his often mathematically inspired woodcuts, lithographs, and mezzotints.